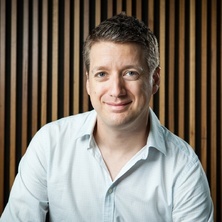 David Lange joined the School of Civil Engineering at the University of Queensland in early 2018 as a lecturer in Structural Fire Engineering. His background is in Structural Fire Safety Engineering, including risk and performance based design methodoloiges and structural mechanics under high temperature. He has several years of experience working in the research and education sector in Europe, where he has participated in a wide range of projects including coordination of a Horizon 2020 research and innovation action and as principal or co-investigator in a variety of nationally and internationally funded projects in the field of fire safety engineering. His research interests follow two main tracks: structural fire engineering and infrastructure resilience. In the field of fire safety, his work includes: the study of steel, concrete and composite structures exposed to fire; the response of modern engineeried timber structures to fire; studies of the fire performance of novel materials including load bearing glass and composite structures; travelling fires; uncertainty quantification and probabilsitic design. In the field of critical infrastructure resileince, he has studied the enrichment of risk management methodologies with the resiults of resilience assessment studies and the operationalisation of resilience to various infrastructure sectors and communities which may be exposed to natural disasters. The behavior and performance of traditional and novel construction materials, structures, elements and systems exposed to high temperature as a result of fires in buildings. This includes both the development and application of probabilistic methods and performance based design methodologies to the design of structures for fire; as well as the definition of performance goals for these methodologies. Schmid, Joachim, Lange, David, Sjöström, Johan, Brandon, Daniel, Klippel, Michael and Frangi, Andrea (2018). The use of furnace tests to describe real fires of timber structures. In: WCTE 2018 - World Conference on Timber Engineering. 2018 World Conference on Timber Engineering, WCTE 2018, Seoul, South Korea, (). 20-23 August 2018. Hopkins, D. J., Van Coile, R. and Lange, D. (2017) Certain Uncertainty-Demonstrating safety in fire engineering design and the need for safety targets. SFPE Europe Magazine, 2017 7: 1-5. Anderson, J., Lange, D., Lonnermark, A. and Mindykowski, P. (2017). Modelling in wfds of a wildfire scenario. In: 15th International Conference and Exhibition on Fire and Materials 2017. 15th International Conference and Exhibition on Fire and Materials 2017, San Francisco, CA, United States, (765-776). 6 - 8 February 2017. Sjostrom, Johan, Lange, David, Debuyser, Michael, Honfi, Daniel, Sonck, Delphine and Belts, Jan (2016). Application of concepts of fire resistance of load bearing structural glass. In: Maria E. Moreyra Garlock and Venkatesh K. R. Kodur, Structures in Fire: Proceedings of the Ninth International Conference. 9th International Conference on Structures in Fire (SiF), Princeton, NJ, United States, (869-876). 8 - 10 June 2016. Anderson, Johan, Lange, David and Bostrom, Lars (2016). Applying uncertainty quantification in modelling of a steel beam exposed to fire. In: Maria E. Moreyra Garlock and Venkatesh K. R. Kodur, Structures in Fire: Proceedings of the Ninth International Conference. 9th International Conference on Structures in Fire (SiF), Princeton, NJ, United States, (925-932). 8 - 10 June 2016. Degler, Jakob, Eliasson, Andreas, Anderson, Johan, Lange, David and Rush, David (2015). A-Priori modelling of the Tisova fire test as input to the experimental work. In: Proceedings of the First International Conference on Structural Safety under Fire & Blast - CONFAB 2015. The First International Conference on Structural Safety under Fire & Blast, Glasgow, Scotland, United Kingdom, (). 2-4 September 2015. Abecassis-Empis, C., Cowlard, A., Valenzuela, M., Jahn, W., Lange, D., Rein, G. and Torero, J. L. (2009). Forensic analysis of fire induced structural failure. In: B S Neale, Forensic engineering : from failure to understanding : proceedings of the two day international conference organised by the Institution of Civil Engineers. 4th International Conference on Forensic Engineering: From failure to understanding, London, United Kingdom, (363-371). 2 - 4 December 2008. Lange D., Usmani A. and Torero J. (2007). A risk based framework for performance based fire safety design of steel and composite structures. In: , , (753-758). .